As we are getting closer to March I wanted to share with you some of the images from one of my all time favorite trips – Bald Eagles of Alaska! One of the most interesting and photographically rewarding trips we offer at Backcountry Journeys is our signature Bald Eagles of Alaska Photography Tour & Workshop. If you’ve ever wanted to head out and photograph Bald Eagles by the hundreds in their native environment this trip is for you. We’ve designed this expedition to coincide with the highest concentration of Eagles and often the clearest weather during the Alaskan spring. Our location is stunning Kachemak Bay, near Homer, Alaska which is about the most beautiful location in the world with towering peaks, glaciers and massive forests of spruce and fir. The Eagles congregate on islands around the bay and so are generally only accessible by boat. We charter a private skiff (which keeps the cost down per person) to take us out for about 3-4 hours in the morning and 3-4 hours in the evenings to take advantage of optimal lighting. The boat has a warm, heated cabin and can land on any beach if we happen to see other wildlife or if we just want to get out and have lunch in a scenic spot! Often we leave this trip with thousands of print quality Eagles images as well as Sea Otters, Harbor Seals, Puffins, Moose and maybe even a bear or two. You’ll want a good tele-photo lens. Although prime lenses such as a 500mm or 600mm fixed focal length will have better overall quality – we actually recommend a good tele-photo zoom for this trip. Unless you have HUGE arms and can handle a giant prime lens all day long in a moving boat. If you want to bring a big prime you will get some excellent images BUT I would also recommend a smaller zoom (such as the above) on a separate camera body. There is plenty of room on the boat to move around and manage your gear. Part of the reason for this is that often times the Eagles are so close and diving / flying around the boat that you will want focal lengths in the ranges of 100mm to 200mm because they are TOO CLOSE! We also make sure you stay warm, dry and are well-fed during this Alaska Expedition so…. We stay at two excellent Alaskan Lodges to take advantage of the abundant scenery! The first is the excellent Land’s End Resort in Homer, Alaska. The Land’s End dominates the end of the “Homer Spit” which juts out into the bay and has a commanding view of the mountains across the channel. The rooms are nice, they have a fantastic restaurant (think King Crab with Alaskan Microbrews or locally caught Salmon) and it’s right on the beach. Often after dinner we head out for some landscape photography after we’re done photographing Eagles for the day. The second property is across Kachemak Bay in the quaint Alaskan fishing village of Seldovia. Seldovia is not accessible by car and in nestled up against one of the prettiest mountain backdrops I’ve ever seen. The Boardwalk Hotel is usually only open during the summer months but they open especially for our groups to photograph Eagles. The beautiful waterfront hotel is situated right in Seldovia’s small boat harbor and they cater all of our meals at their excellent restaurant and even open the bar for our groups when they come in off the water for the day – this is a true Alaskan Lodge Experience in and of itself! All meals, ground transportation, boat charter and lodging are included in the price of this trip as is expert photographic instruction and local knowledge. 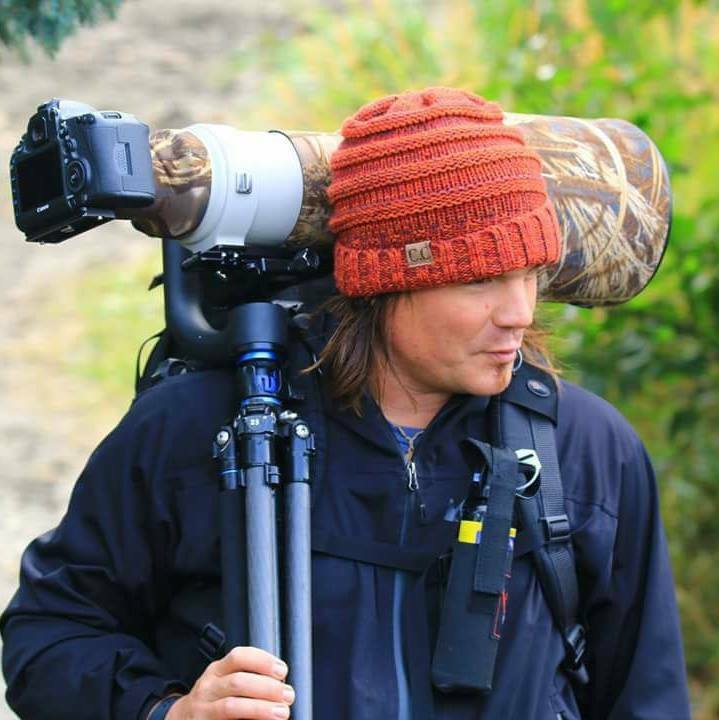 If you want to photograph wild Bald Eagles in Alaska this is about the best way you can do it! All you have to do is get to Homer, Alaska and we take care of the logistics from there. Flights arrive daily into Homer from Anchorage or you can choose to drive from Anchorage down the beautiful Kenai Peninsula (about 5 hours). The price of this trip for 2019 is $4595 and the dates are March 25th to 29th, 2019 which includes four days of Bald Eagles Photography on a chartered boat. I hope to see you up in Alaska this spring! Until then check out these images from previous workshops. Bald Eagles of Alaska Photography Tour & Workshop. His Photography reflects an awe and admiration of the great, wide and still wild world we live in. Often his subjects include towering canyon walls, mist shrouded mountain lakes or wildlife in their natural habitat. It also reflects a commitment to preserving these places for the health of our world and for those who come after. It would be a lie to say he does it completely from an altruistic standpoint. Like any great outdoor photographer he loves the thrill of wild, remote places and the accomplishment of nailing that shot after waking up three hours before dawn and hiking in the dark!